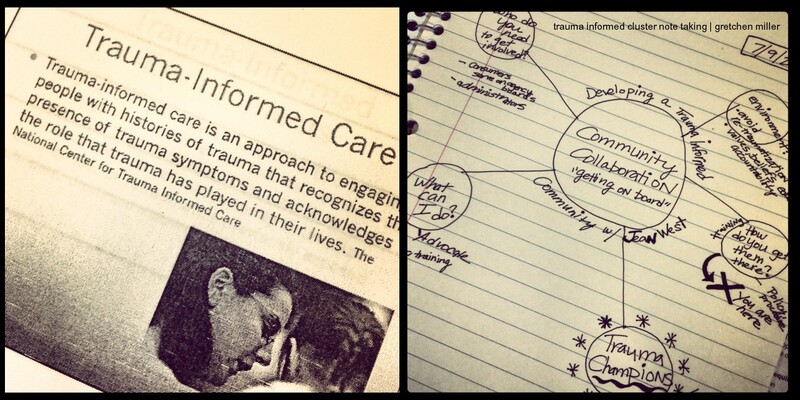 Become a Trauma Champion: What can you do as an individual to contribute! An article co-written by Wilson about Valued Living and ACT can also be downloaded here. Another TLC presenter I enjoy seeing every year is Kelly Warner and learning more about her trauma work with youth, especially in relationship to survivors of domestic violence and sexual assault. 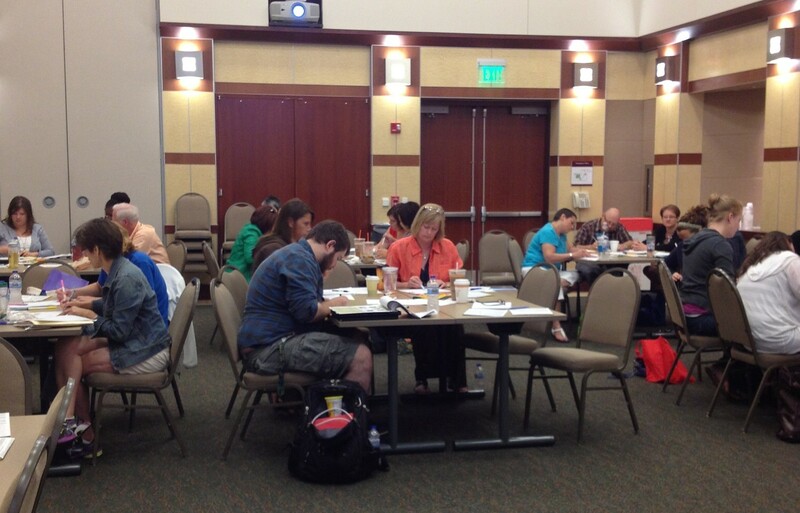 Kelly’s workshop this year focused on interventions and ideas related to group work with adolescents. 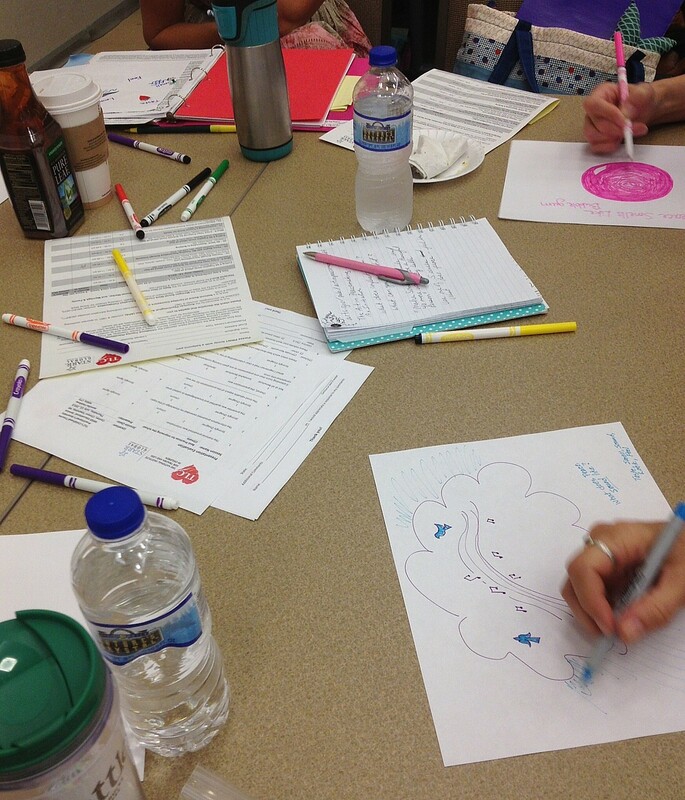 This included drawing, music, & journaling to explore topics about safety, trust, processing feelings & thoughts about their trauma experience, and strengthening self-awareness. One of the small group exercises we did included a silent round robin activity with Play Doh where we each took turns creating & adding a symbol or making an addition to a group piece related to the theme of safety. A helpful resource that I like to use in my group work with adolescents is this TLC program by Kelly: Teen Empowerment-A Structured Sensory Intervention Program for Teens Exposed to Domestic Violence. 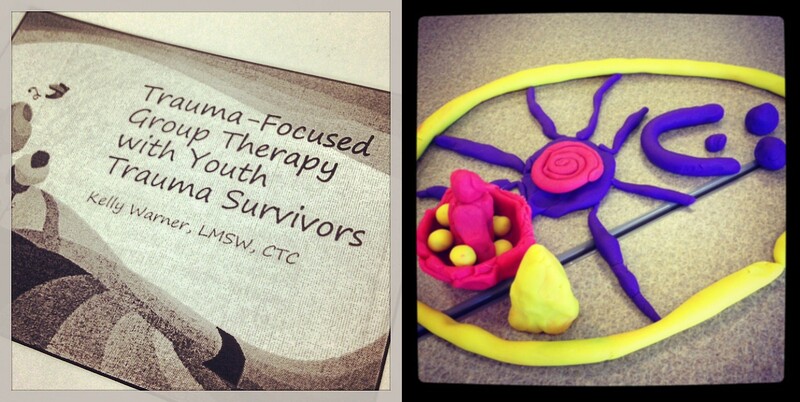 Secondary Victimization: Hurt by Others, Hurt by Self– Cherie’s secondary wounding workshop also included writing ideas to help trauma survivors cope with feelings of blame, minimization, other’s expectations about their experience, and the hurt and devaluing that surfaces from secondary wounding. Another good idea from Cherie to incorporate into writing & secondary wounding was the work of Virginia Satir (who I love!) and her 5 Freedoms of Becoming Fully Human. Identifying and writing about “My Personal Freedoms”as a prompt can to help survivor’s reclaim a sense of balance. Great idea! 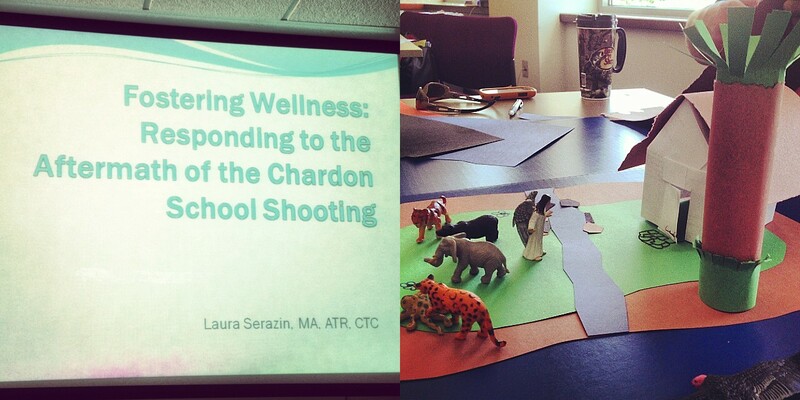 Attending Laura Serazin’s workshop about her work with the Chardon Schools here in NE Ohio was really helpful to learn more about how making art, drumming, and other creative group interventions helped families and this community cope after the high school’s 2012 school shooting. In small groups we created Safety Islands (from TLC’s Helping Children Feel Safe Program) which was one of the activities families and survivors engaged in during a workshop they attended at her agency. And…on the last day of the Assembly, I was excited and honored to facilitate a morning workshop about my work with youth around the topic of peacemaking through creativity, as well as highlighting art’s role in peacemaking, conflict resolution, and social transformation. A really great group of workshop attendees! It was nice to see some familiar faces, meet new ones, and connect with more like minded trauma specialists during this workshop! 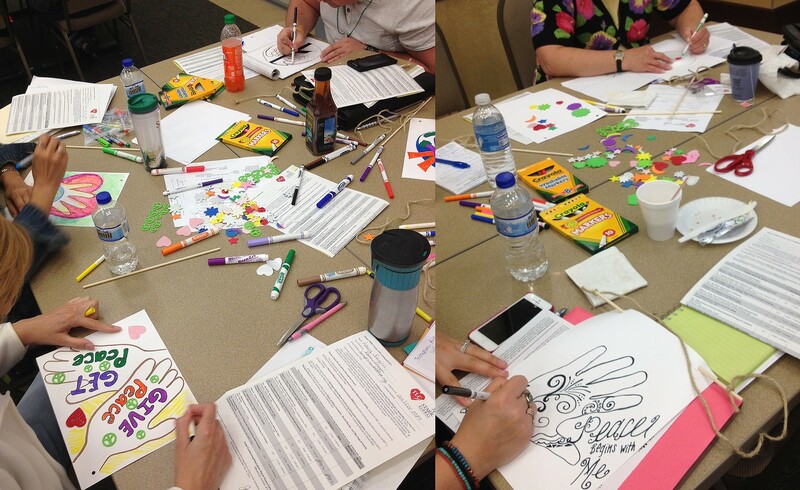 During one of the hands-on activities, attendees participated in a sensory based drawing inspired by Vladmir Radunsky’s book “What does peace feel like?. Radunsky’s creative picture book challenges children to envision peace as one of the five senses. It was lots of fun and a great group experiential to share what peace looks, tastes, smells, sounds, or feels like with one another! We also spent time creating Peace Flags focused around the theme of “Peace for me, Peace for us, Peace for everyone, and Peace for the world”, the core guidelines & values I try to cultivate in my Peacemaker Art Therapy groups. What a great week! I look forward to next year’s Assembly which will be July 8-11, 2014! 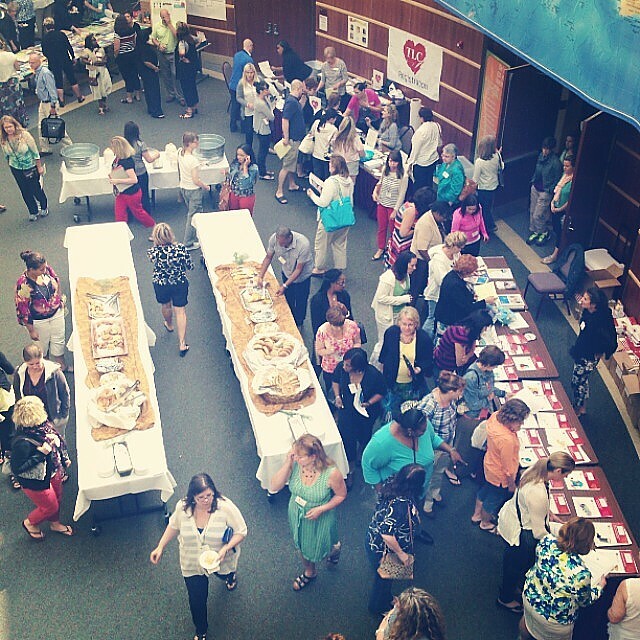 The 2011 Buckeye Art Therapy Association’s Annual Symposium, Resiliency & Empathy: The Art of Healing Trauma is being held September 30 and October 1 in Dublin, Ohio. This year’s keynote sponsored by BATA and the Michigan Association of Art Therapy features Cathy Malchiodi who will be presenting an evening lecture and morning workshop on the impact of resiliency, gratitude, and empathy in relationship to trauma intervention and recovery. A pre-conference course with Cathy focused on Trauma Informed Art Therapy is also being offered in addition to the Symposium. This year’s BATA Symposium Program includes additional presentation offerings and workshops on the application and use of art therapy with grief and loss, traumatic brain injury, adolescents, as well as supervision, social media & ethics, and self-care. I am especially looking forward to Elizabeth Sanders Martin and Emily Johnson’s workshop on Celebrating Life in Traditions of the Day of the Dead. On Friday afternoon during the Symposium I’ll be presenting Art as a Voice: Art Therapy with Survivors of Domestic Violence which will provide an overview of art therapy with survivors of domestic violence and address trauma informed considerations, common treatment goals, and art interventions to consider when working with battered women in a shelter setting. 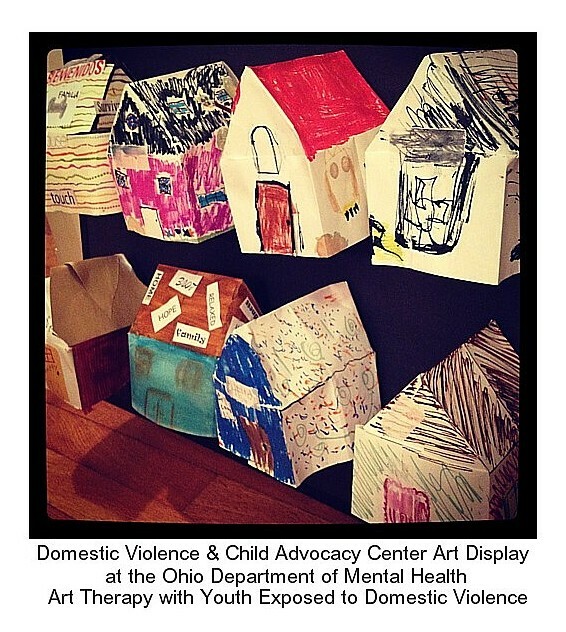 Content will be presented on the impact of domestic violence, how art therapy can provide a voice and facilitate support around key issues such as safety, the cycle of violence, and crisis intervention. 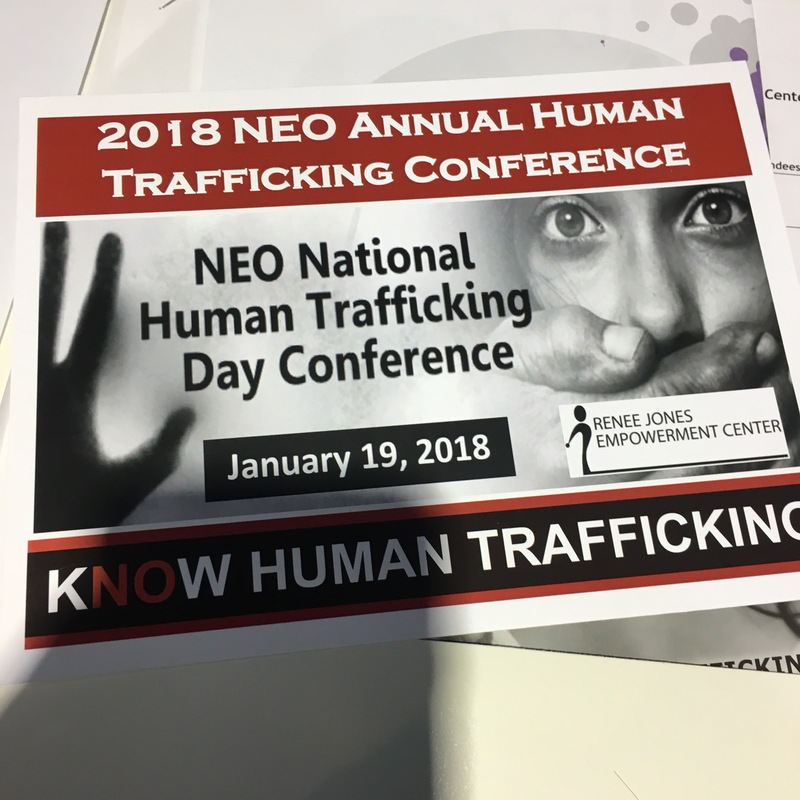 For more information about the program, lodging accomodations, and registration download BATA’s printable PDF brochure here. 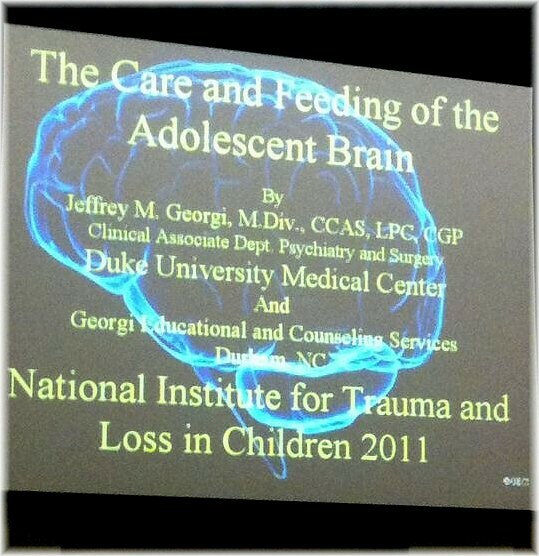 This year’s theme was Trauma-Informed Resilience-Focused Practicesand kicked off with a keynote on The Adolescent Brain by Jeffery M. Georgi. Georgi’s all day offering included a lot content and considerations to better understand the development and structure of an adolescent’s brain functioning, especially related to trauma exposure and substance abuse. An emphasis on implementing sensory based approaches when working with traumatized teens was highlighted to support that the adolescent brain develops from the “back to the front”. Interventions such as art, music and smell can have a stronger impact on brain functioning, regulation, and control. You can learn more about Georgi’s work here and check out these recommended book resources here. Another Assembly offering I attended that I found helpful for my shelter work with youth and families included Jean West’s workshop about facilitating trauma work with homeless children and adults using TLC’s SITCAP Model. Some of the resources and ideas offered during this workshop included implementing a trauma informed approach with this population through sensory based interventions and grounding individuals in crisis through the senses to cope with overwhelming experiences, losses, and strong emotional states. Some helpful trauma informed resources and publications recommended during the workshop included information available from the National Center on Family Homelessness. This year it was a pleasure to conclude my TLC Assembly experience with facilitating a workshop about group strategies with youth exposed to domestic violence. In addition to having the honor of being a presenter this year, I also want to sincerely thank TLC for including me as a 2011 award recipient for Consultant Supervisor of the Year. 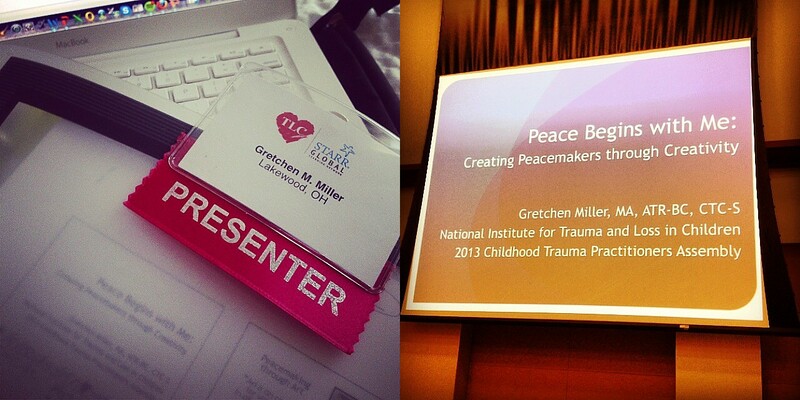 TLC’s certification training, courses, tools and resources have been so very valuable in my professional development and commitment to become a trauma informed therapist and to better help the youth, women, and families I work with who have impacted by trauma and loss. Thanks to TLC for all their work and dedication to help traumatized children everywhere.